Happy Thanksgiving from your friendly painters at The Paint Kings. While the holidays are a time for friends, family and fun, there can be some stress associated with them. For one thing, relatives you see once a year pop by to enjoy a warm meal and check out the latest and greatest improvements to your home. Or lack there of. But not to fret, all it takes is a few hours and you can freshen up your abode and keep the in-laws in awe. Here are some house painting tips for your holiday headaches. 1. Add an accent wall. Do you have a wall in your home that has seen better days. Instead of trying to touch it up and hoping that the paint matches, go big and give it a flare for the dramatic. 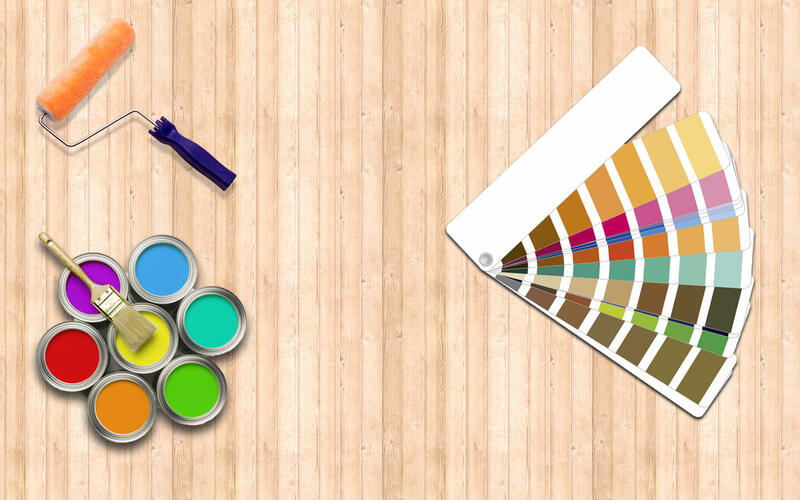 Use a color that fits in well with the flooring, drapes, furniture and lighting situation. Dark reds give the best contrast but should be used in moderation and with the right architectural features. Check out our full article for Accent Walls here. 4. Call Paint Kings to get a fast free estimate and leave the headache to us. We specialize in emergency paint jobs and can get most projects done in a day.